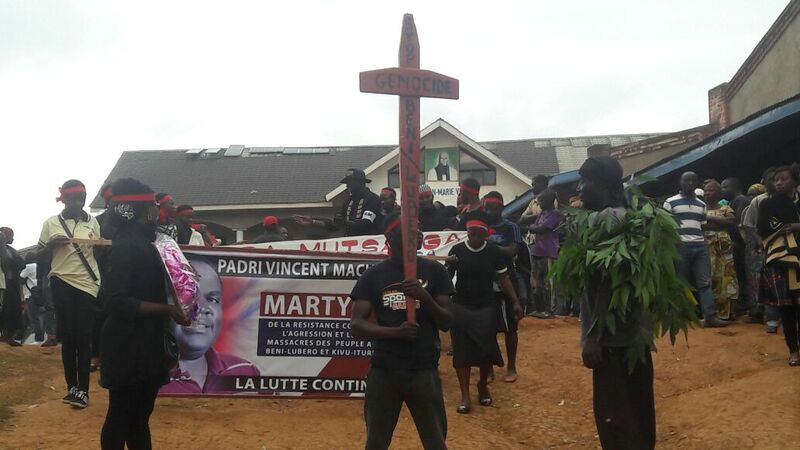 Acquittal of accomplices in the assassination of Father Vincent MACHOZI – Another disappointment for the people! The military court of Beni-Butembo has acquitted all the alleged perpetrators of the murder of Father Vincent MACHOZI, former president of Kyaghanda Yira-Nande. It is since Thursday, September 06, 2018 that the verdict returned his verdict to the floor of Emilio detached from Butembo. The court is making the public believe that it has lacked any evidence to support the charges brought against the suspects who are none other than Mr. MUMBERE sulemani, driver of the Bashu chiefdom, police officer Kasereka Janvier, Anset Muhindo Musyakulu IV, head of the BUNYUKA group and Mwami Abdul Paluku Kalemire III, Chief of the Bashu Chiefdom. The acquittal of these presumed obliges us to return on the evidence of implication of the power in place in Kinshasa in the assassination of the one who was the president of all the community of Yira-Nande. 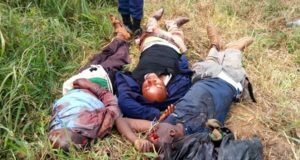 It should be recalled that the assassins were transported that night (that from March 19 to 20, 2016) from Musienene to the crime scene, through the town of Butembo, aboard a FARDC military jeep. pointed out several witnesses. This vehicle passed by Butembo late on the evening of March 19, 2016, to then take the road to Bunyuka; and returned at the dawn of March 20, 2016, at the time when Father Vincent had just been shot around 11:30 pm in his native village. The civil accomplices of this tragedy have been very well identified. There is Mrs Vumi, the secretary of the late father, handled by Mr Roger Nzanzu alias Berlin and his colleague working class Mr Daniel Masinda alias Eric, in collaboration with the ANR / Butembo service through the personality of Jonas. No one is unaware of the role played by the leader Abdul Kalemire III, as one of the main executors of the plan of this assassination, considering the facts he peddled from the invitation by which he sent for the father Vincent on the altar of the holocaust to the scene of the shootings that would take place at the reception center where this victim was on the night of 19 to 20 March 2016. Even more, it was his jeep that was used by assailants after committing their crime to clear the scene of the crime, as if the vehicle were ready to support the operation. And today the court will tell us that the driver of this vehicle has no account to give, even as a witness? Who does not know how the authorities of Butembo-Beni diocese (including the Bishop himself) were intimidated after the death of Father Vincent only to force them not to put pressure on justice? of the file of this assassination? As soon as this tragic coup succeeds, the opinions should be supported by agitations (due to the guilty conscience) which were fleeing the chief Kalimere III to take shelter here and there; he immediately went to Goma to report the result of his criminal mission to Governor Julien Paluku, his boss, who himself was to report to Joseph Kabila, the supreme leader who allegedly requested the execution of Father Vincent, for the purpose of behead the Yira Nande community in order to unleash the massacres that the current regime had launched against the natives in the region of Beni. In this distress, Kalemire III will try in vain to seek an asylum in South Sudan and other neighboring countries, and finally will be arrested in Uganda. However, the Kinshasa government does not know much about the fact that Kampala released the malefactor after extracting all the information he needed from him about the assassination of Father Vincent Machozi as well as about the interview. 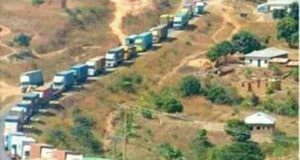 by Kinshasa a terrorist network covered by the name of “alleged ADF” riding on the Beni region in the DRC and that of Kasese in Uganda. Nevertheless, the fact that the alleged accomplices of the assassination above named were acquitted by the Congolese justice is not a surprise to the informed observers. In Kinshasa, as the true sponsor of the assassination of Father Machozi, he can not condemn himself; that would be absurd. Moreover, it is since the beginning of this trial, moreover obtained very difficult by his community base, that Benilubero online already expressed his pessimism as to its outcome. Today history gives him full reason. However, the only guarantee of hope for the victim’s family and community is that this corrupt regime that destroys the sons and daughters of the country will not be eternal in power. And soon the DRC will have a political change that will bring back to the bar of fair justice all the perpetrators of the countless crimes by which Joseph Kabila and his system have turned our society into a hell. Précédent : Absueltos los cómplices del asesinato del Padre Vincent MACHOZI – ¡Una decepción más para el pueblo!